Open the Windows Start menu and select Programs | Appeon PowerServer 2019 | PowerServer for WebSphere | Start WebSphere. For Windows 7/2008/8/8.1 with UAC turned on, if you are running on a non-Administrator Windows account (such as an Administrators group member or a User group member), please right click the Start WebSphere shortcut menu and then select Run as administrator to start WebSphere Application Server/PowerServer. 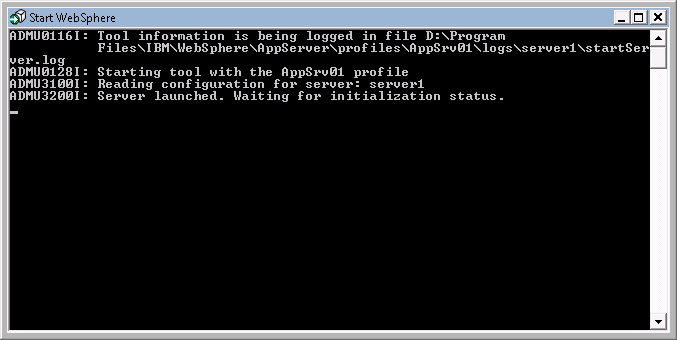 When the server startup process is completed, the following message will appear in the command window.